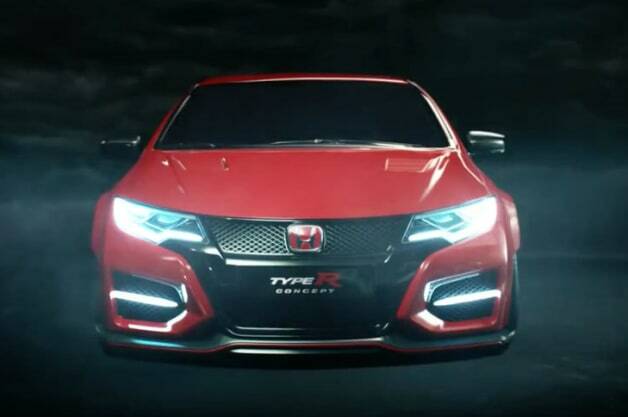 Honda is still about a year away from bringing back the Civic Type R to challenge Europe's hot hatch ranks, but the wait isn't stopping the brand from starting its promotion in the UK with a truly strange ad campaign. Titled R-Rated, the marketing plays with the idea of Honda's Type R badge not being something for every driver, and its 60-second short film Disruption definitely isn't for everyone. The teaser video is meant to personify the spirit of the hot Civic by combining aggressively weird imagery with a glimpse of the new model. It cycles through things like a pack of wolves, androgynous models, a lady with a samurai sword and a flaming speed camera before getting to what we all want to see – the car. It's a weird, by turns creepy, video that feels like it's trying to be outlandish without always showing there's much thought behind the madness. Perhaps the most frightening thing about the Civic Type R is that there are still major doubts about whether its 2.0-liter turbocharged four-cylinder with an estimated 280 horsepower will make it to North Ameircan showrooms. We understand the business case may be tough, especially when the CTR's hatchback bodystyle isn't sold in America at all, but we think Honda's North American showrooms could use a bit more performance edge, and an affordable halo car like the Type R could do just that. Despite the R-Rated label on this video, there's nothing too unsafe for work here, unless your boss really frowns on the destruction of sculptures and general weirdness. Scroll down to watch the bizarre ad and read Honda's explanation for all the craziness.